After his match-winning exploits at Trent Bridge, Virat Kohli seems to be enjoying some downtime with wife Anushka Sharma. India cricket captain Virat Kohli brought the Indian cricket team back from the dead in the ongoing five-match Test series against hosts England. The stylish right-hander scored 97 in the first innings and followed it up with a gritty 103 as Indian batsmen finally thwarted the English pace attack to set up a massive 203-run win in the 3rd Test at Trent Bridge. Following his match-winning exploits, Kohli enjoyed some downtime with wife Anushka Sharma, who was seen cheering him on from the stands during the 3rd Test. 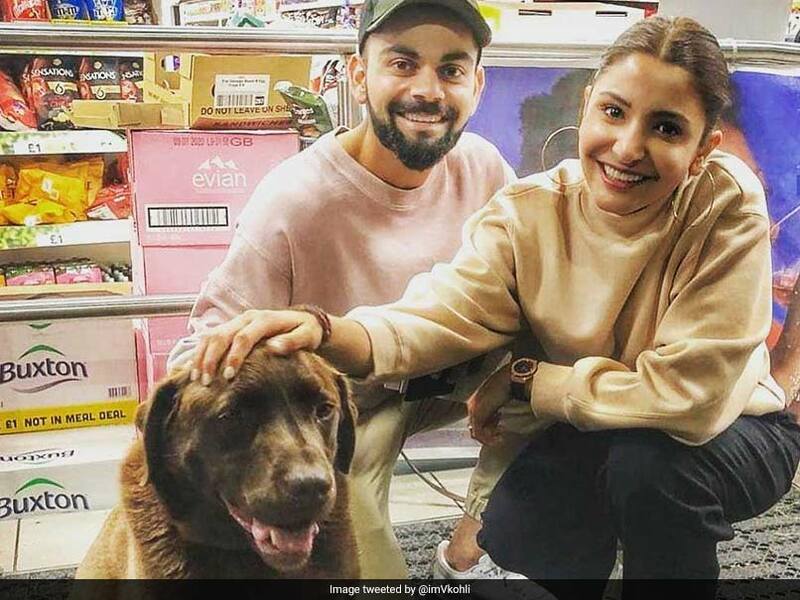 Kohli took to Twitter and shared a picture of him and Anushka sporting a big smile after their meeting with "beautiful boy". Anushka has been a constant presence in India's tour of England. She has been spotted multiple times in the stands, supporting her husband and the Indian team. In Trent Bridge, after reaching his century, Kohli celebrated the milestone by blowing a kiss towards the Bollywood star. Anushka was also seen applauding her husband's feat in the stands and blowing flying kisses towards him. 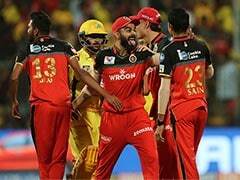 With 23 centuries under his belt, Kohli now has equalled Virender Sehwag (India), Kevin Pietersen (England), Justin Langer (Australia), Steve Smith (Australia) and Javed Miandad (Pakistan), who have 23 centuries each to their names. Kohli, who made his Test debut in 2011 against the West Indies in Kingston, has played 68 Tests so far and has 5994 runs under his belt at an average of 54.49. The Indian captain has been magnificent form in the ongoing Test series. He scored 149 and 51 in the opening Test against England at the Edgbaston cricket ground. Kohli, who was declared the Player of the Match, accumulated 937 rating points, a career-best for him, to become the current No.1 Test batsman in the world according to the latest ICC Rankings. 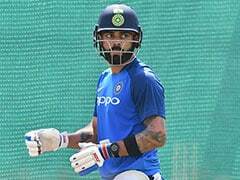 Two weeks ago, Kohli had claimed the numero uno spot for the first time in his career, after he scored a hard-fought 149 in a losing cause at Edgbaston. However, after registering scores of 23 and 17 in the second Test at Lord's, Kohli ended up conceding the top spot to banned former Australian skipper Steve Smith. The Nottingham Test was a personal triumph for Kohli as he also became the first captain to score 200 or more runs in a winning cause seven times leaving behind Australian greats Bradman and Ponting, who had achieved the feat six times each. India trail 1-2 in the five-match series with the fourth Test scheduled to begin on August 30 at The Rose Bowl, Southampton.